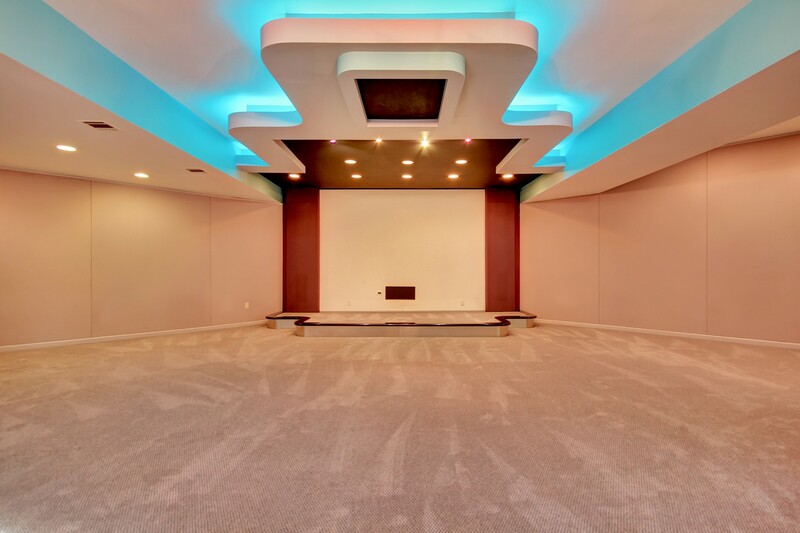 Experience the upscale lifestyle and understated elegance of this entertainer's paradise custom-built Livingston home where luxury and architecture meet. This home includes spectacular architectural details such as soaring ceilings and grand open spaces, fabulous custom finishes, a luxurious master bedroom suite, high-end bath upgrades, custom built-ins throughout and a media room which was custom built to allow seating for hundreds of your closest friends and relatives. A soaring entry foyer, boasting high ceilings and wide entries, combined with an open floor plan and soft palette of neutral colors set against sleek flooring, are designed with today's home buyer in mind. 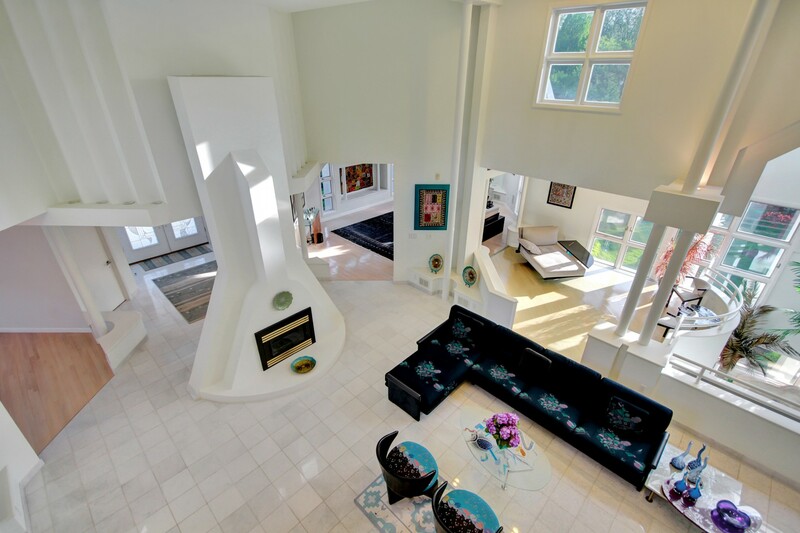 An open concept main living area with lofted great room and nearby family room, make this the perfect home for frequent entertainers or those who appreciate architecturally interesting structures alike. 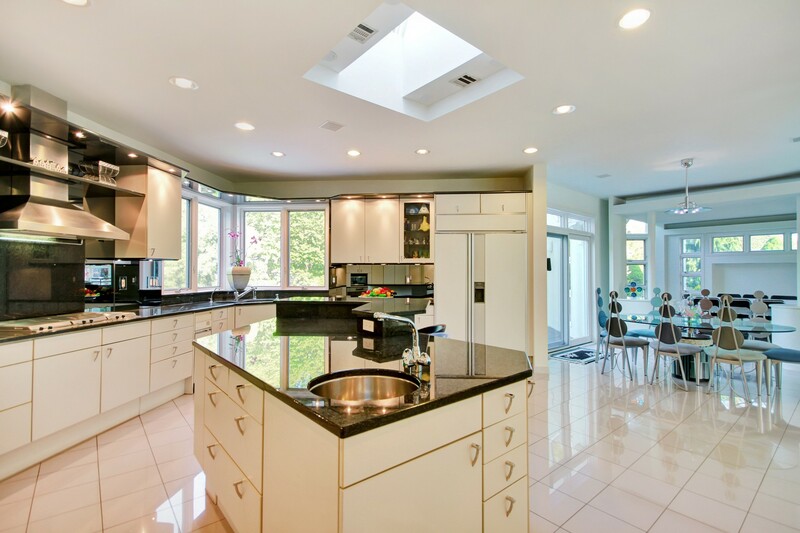 At the heart of the home is a beautiful gourmet designer kitchen with professional appliances including Gaggenau, Miele and SubZero, large center island with seating, expansive walk-in pantry, sunlit breakfast area and an adjoining formal dining room. 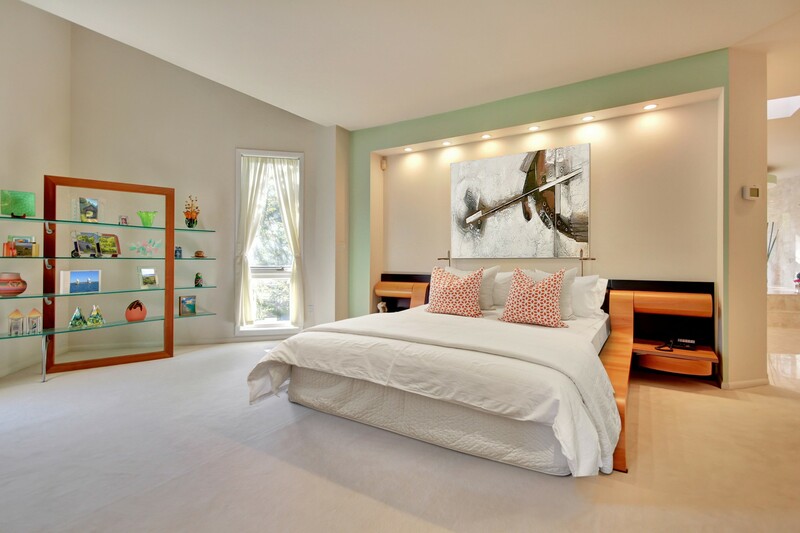 All spaces in the home continue a modern, yet warm and inviting white pallete-based design. 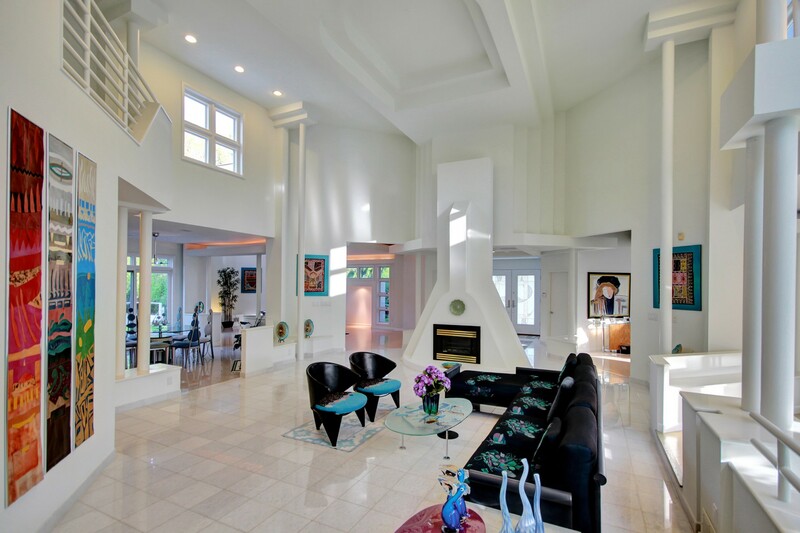 Soaring ceilings and exposed columns are the centerpieces of this home. Built primarily to mimic Italian structures, the home tastefully embodies the use of clean lines and column supports. The lower level was designed primarily as an entertainment space. Easily able to accomodate gatherings of 100 or more, it boasts state of the art audio and video equipment, a built-in stage, separate catering kitchen and two distinct entrances. Banquet halls will be a distant memory. The lower level also includes sound insulation as well as a sound proof room, which could be used as a recording studio. 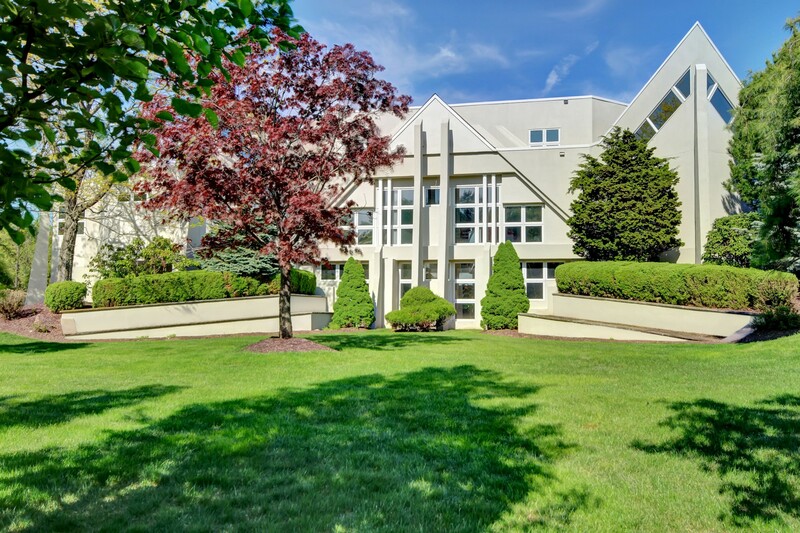 Featuring an exceptionally functional floor plan, the 5 bedrooms on two levels offer the ultimate in flexibility. The main living area features three bedrooms including the master suite, all with built-ins, private baths and expansive designer closets. The ground level includes two suites, providing perfect, tucked-away areas for in-laws, guests, live-in staff or home offices. A dramatic staircase with steel railings leads to an open second floor loft overlooking the rooms below and introduces two additional spaces, including a den and an office. The romantic master bedroom is set off on its own in an expansive space and featuring a built-in modern bed with cove lighting throughout. There are his- and her- custom-fitted walk-in closets and a luxurious, oversized master bath that includes two vanities, deep jetted tub, stall shower and separate commode. Extra leisure space is to be enjoyed in the expansive outdoor area. 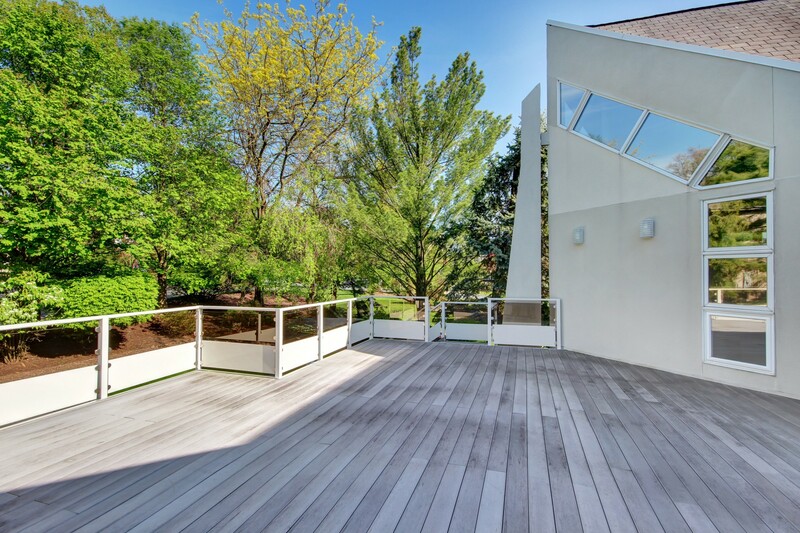 This home features a convenient deck leading out from the kitchen as well as a patio from the ground level. 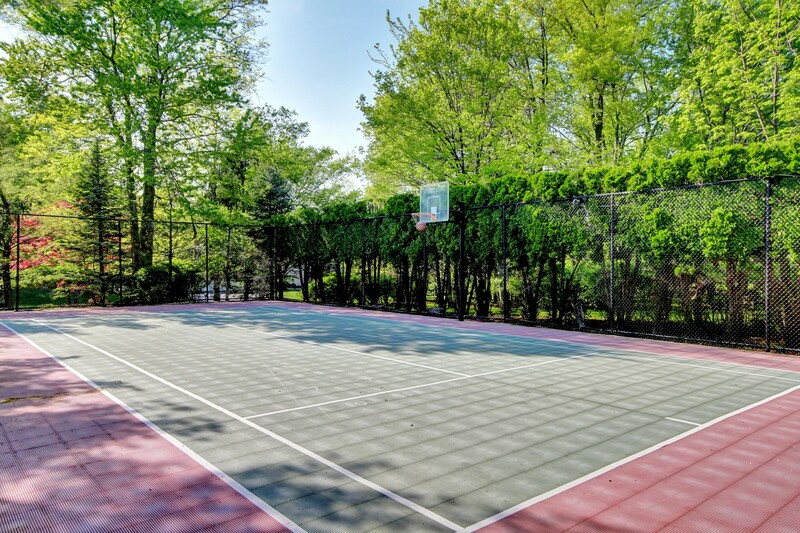 The piece-de-resistance is the expansive multi-sports court, featuring basketball and tennis capabilities among others.